Ackmez Mudhoo holds a B.Eng. (Hons.) in Chemical & Environmental Engineering and a Master of Philosophy (M.Phil.) degree by Research in Chemical Engineering from the University of Mauritius. He is a Member of The Chemical Institute of Canada (MCIC) in the Constituent Society 'The Canadian Society for Chemical Engineering (CSChE)), and is also a TWAS Young Affiliate Fellow 2013 (Tenure 2013-2017). His research interests span (bio)remediation of solid wastes & wastewaters/pollutants and the related mathematical modeling, ultrasound–/microwave–assisted (bio)degradation, and adsorption. He is an Associate Editor on the Editorial Board of ‘Environmental Chemistry Letters’ (Springer). 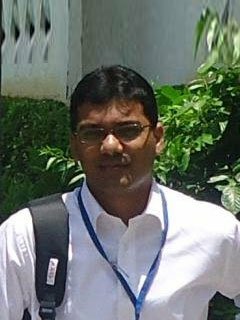 A. Mudhoo is presently Lecturer in the Department of Chemical & Environmental Engineering at the University of Mauritius, and is also reading a PhD by research under the supervision of Prof. (Mrs.) R. Mohee (University of Mauritius) and Prof. B.R. Gurjar (IIT Roorkee, Roorkee, India) since May 2012.